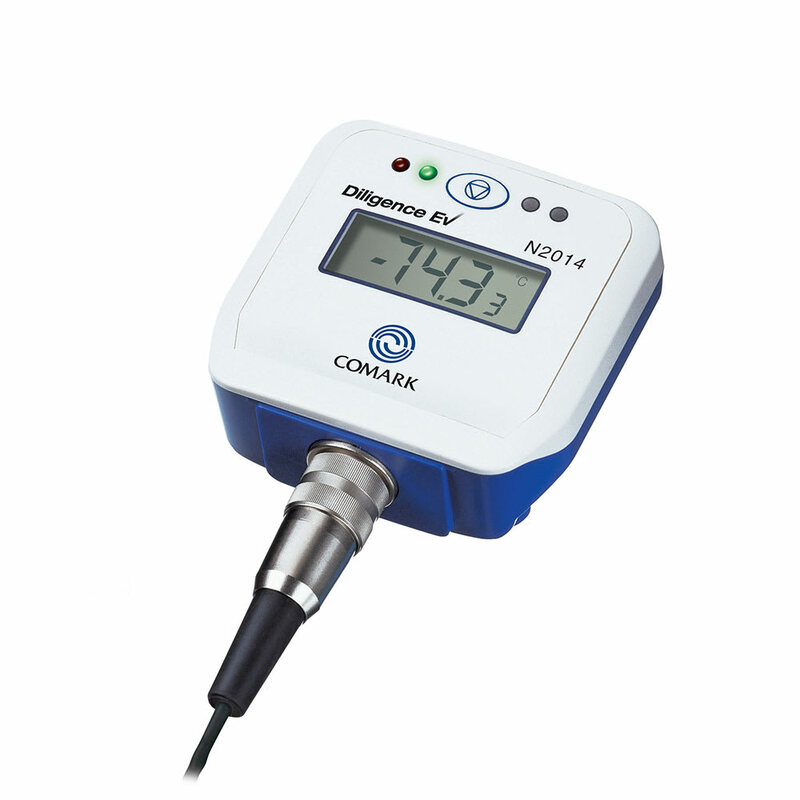 The Comark N2014 is a data logger with an easy-to-read LCD screen. This logger has an internal thermocouple and can connect with up to 3 external thermocouples. The thermocouples, which are sold separately, may be either Type T or Type K, and connect with the included Lumberg connector. The purchase of this logger includes Comark's Windows®-compatible software, which allows you to download the logged data. The logger has a large memory, able to hold up to 5300 samples, and adjustable sampling frequency. The case is made out of durable ABS plastic, and is dustproof and waterproof to allow it to stand up to the hardships of commercial and industrial use. The case also features Comark's BioCote® antimicrobial protection to help prevent the spread of bacteria in the kitchen.